Your pet deserves the special treatment; and special is what we do best! All grooming tools and surface areas are cleaned and sterilized after every treatment. Spa Dog uses disinfectants recommended by veterinarians to kill bacteria and diseases. All pets are hand dried. At Spa Dog each pet is given our total and undivided personal attention and never caged dried. After every visit we allow time to play and bond with our clients. We believe the Spa Dog experience should be enjoyable and fun for your pet. Treats are provided at the end of every session. cancellation notice or charges apply. Fantastic medicated treatment providing healing relief for itching, hot spots, fungus, bacteria, infection, crusty skin, dandruff, and bites. Perfect for sensitive skin and animals with allergies. Contains kelp, sulfur, rutin, chromium, niacinamide, and pantothenic acid. 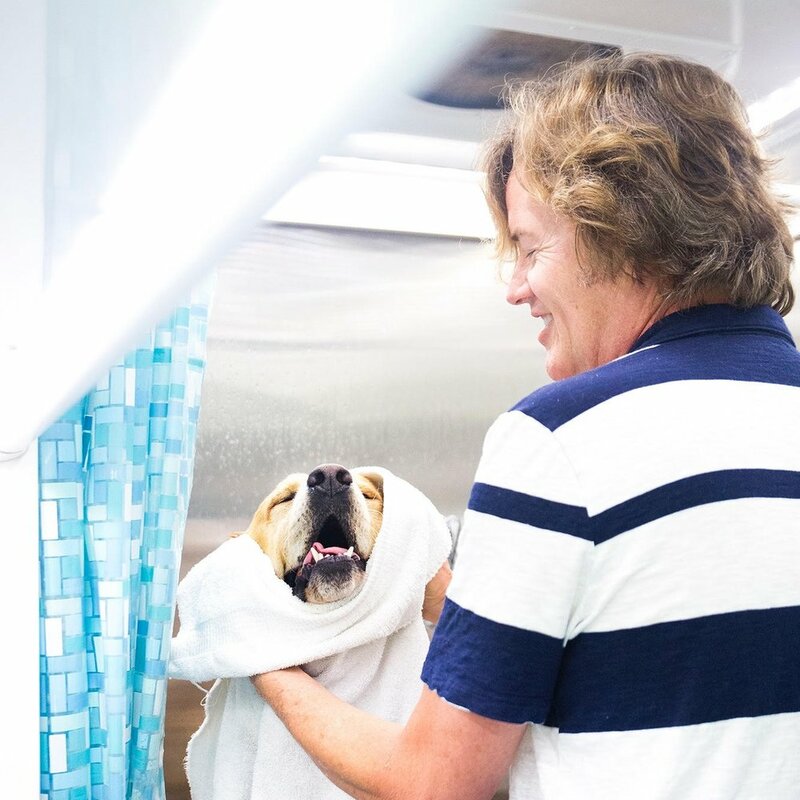 Our mobile spa is equipped with two high velocity dryers which enable us to fully blow out your pet's coat. This process is great for removing old undercoat and dander while enhancing circulation. The removal of dander reduces airborne elements that cause allergies and creates a healthier living environment for you and your pet. This Spa Dog Signature Treatment is included in all of our packages. Our service involves the use of dental wipes that safely and effectively remove plaque build- up, kill germs, and control bad breath. Regular treatments help keep teeth clean, reducing the risk of gum disease and can add years to your pet's life. Peppermint flavor leaves breathe minty fresh! association with the Spa Dog Service, please let us know if your pet has any allergies.